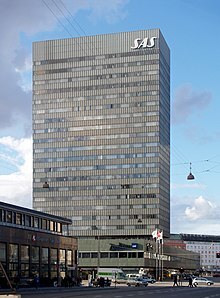 SAS AB, trading as SAS Group, is an airline holding company headquartered in the SAS Frösundavik Office Building in Solna Municipality, Sweden. It is the owner of the airlines Scandinavian Airlines and Scandinavian Airlines Ireland. SAS once owned 19.9% of the now defunct Spanish airline Spanair as well as shares in Estonian Air and Skyways Express. It also owns the aviation services companies SAS Business Opportunities, SAS Cargo Group, SAS Ground Services and SAS Technical Services. In addition, it holds minority ownership of Air Greenland. SAS Group is partially owned by the governments of Sweden and Denmark with a 21.4% and 14.3% ownership, respectively. The remaining 64.3% is held by private owners, of which Foundation Asset Management owns 7.6%. The company is listed on the Oslo Stock Exchange, the Stockholm Stock Exchange, and the Copenhagen Stock Exchange. SAS Commuter, also branded as Scandinavian Commuter, was a regional airline which operated in Denmark, Norway and Sweden. 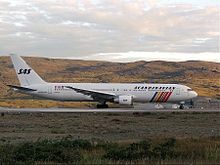 A sister company of Scandinavian Airlines (SAS), it operated various regional services on behalf of the Scandinavian flag carrier. The airline was headquartered at Copenhagen Airport, which also served as its main base. 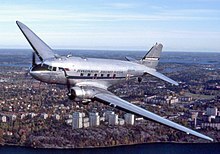 It later also operated bases at Tromsø Airport; Stockholm Arlanda Airport; Trondheim Airport, Værnes and Bergen Airport, Flesland. Delta Air Lines operates 901 aircraft, making it one of the largest airline fleets in the world. Before merging with Northwest Airlines in 2009, Delta Air Lines operated an all-Boeing and McDonnell Douglas fleet; it incorporated Northwest's Airbus aircraft into its fleet following the merger and subsequently ordered further Airbus types. Delta is known for its policy of generally buying older generation or used aircraft and for continuing to fly aircraft for 20-30 years, much longer than most other major airlines. As such, it has one of the oldest fleets of any American airline, with an average fleet age of 15.9 years as of 2019. 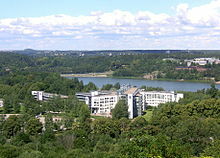 The SAS Frösundavik Office Building is an office building in Frösundavik, Solna Municipality, Sweden, north of Stockholm. It serves as the head office of Scandinavian Airlines (SAS) and the SAS Group. The SAS head office was for a brief period located in a different building on the property of Stockholm Arlanda Airport in Sigtuna Municipality. Scandinavian Airlines (SAS), previously known as Scandinavian Airlines System, is the national airline of Denmark, Norway and Sweden. Headquartered in Sigtuna outside Stockholm, Sweden, it operates out of three main hubs, Copenhagen Airport, Stockholm-Arlanda Airport and Oslo Airport, Gardermoen. Owned by the eponymous SAS Group, the airline transported 22.9 million passengers to 90 destinations on an average 683 flights daily in 2011. As of October 2018, SAS utilize 164 aircraft—jetliners and turboprops—consisting of 64 Boeing 737, 28 Bombardier CRJ900 operated by Nordica and Cityjet, 44 Airbus A319/A320/A321, 16 Airbus A330/A340 and 10 ATR 72's operated by Nordica and FlyBe. In addition there are 2 Bombardier CRJ1000 leased from Air Nostrum. Scandinavian Airlines (SAS), previously known as Scandinavian Airlines System, is the national airline of Denmark, Norway, and Sweden. Owned by the eponymous SAS Group, it operates out of three main hubs, Copenhagen Airport, Stockholm-Arlanda Airport, and Oslo Airport, Gardermoen. It transported 22.9 million passengers to 90 destinations on an average 683 flights daily in 2011.